Presents so perfect, there’s no need to include a receipt. The team at Mod’s Hair Merivale helped up tick off our Christmas shopping with something for everyone below! Scroll to see their perfect Christmas present ideas! Designed for those who regularly use heated styling tools, or who want to have the best products to protect their hair when they straighten and/or style their hair. These gorgeous products will protect unruly hair from the aggressions of blow-dry, hair straighteners and other heated tools to make hair easier to style. 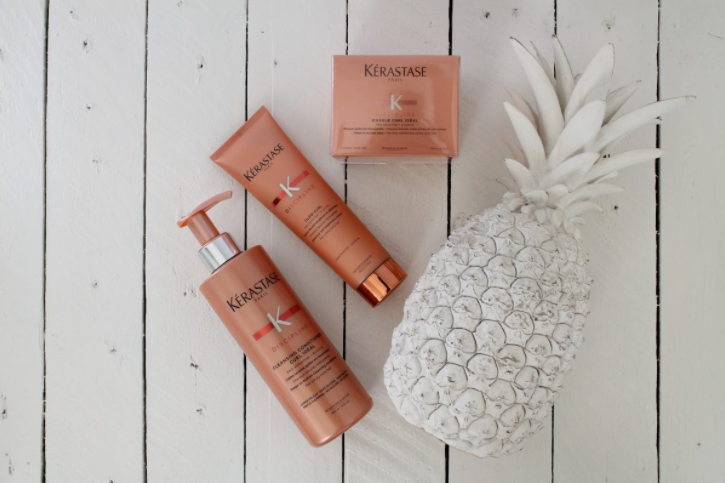 We love these products for their instant ability to smooth the hair’s fibre for a double anti-frizz/anti-humidity action while hair fibre is deeply tamed for a perfect fluid and light movement. Your hair will be left shiny with a perfect glazed-like finish! If you or someone you know needs a little TLC for their hair, then look no further. You will kiss frizzy untamed hair goodbye, and will win back control of your tresses once and for all! Your must-have summer hair accessory is healthy hair full of hydration! These products are multi-functional, both repairing and styling essentials! Add natural shine and UV protection all in one. Big, bold, beautiful hair full of volume is a MUST at any time of the year! This is a gift pack anyone would be thrilled to receive! In 1 month: more thickness, more mass. This pack contains everything he will need for his haircare needs! If you, or someone on your Christmas list colours their hair then this selection of products is an absolute must! All have been selected to protect against anti-oxidant aggressors and premature colour fading. You will ensure that the pigment of the hair fiber is captured to prolong hair colour at its most perfect state, while also polishing the hair fiber, leaving it smooth for maximum light reflection and shine. This collection is perfect to discipline unruly hair to achieve smooth locks, or to define naturally curly hair for shape. This three-part collection is the perfect regimen for anyone with unruly hair or curly hair who wants to perfectly tame their hair or define curls, leaving hair lightweight with unparalleled fluidity and movement. DREAM, GLOW & EXPLORE with ASPAR. Beautifully packaged, and ready to give Christmas gifting. Mod’s Hair Merivale is an exclusive Christchurch stockist. You will fall in love with the entire range with everything from luxurious body creams, to hand lotions, scented candles and one of our favourites – the rose hydration facial spray. There is something for everyone!